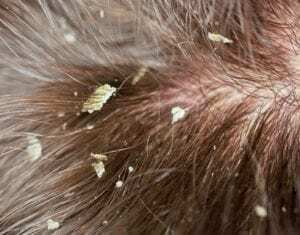 Seborrhoeic Dermatitis (SD) – If you are looking for advice or treatment for an itchy dry scalp please contact the advice line. You can speak with a trichologist who will advise you. You can also arrange a consultation. SD is a common skin condition that can be very difficult to live with. The itching can make you feel very uncomfortable. The flaky skin very embarrassing. We can Help control or remove this condition. SD simply means an oily skin condition which bare resemblance to the various Pityriasis conditions viz Pityriasis Simplex capitas, Pityriasis Circinata, Pityriasis Rotunda, Pityriasis Steatoides etc).Pityriasis is a genus of non-pathogenic yeast-like fungi which produce fine spores but no mycelium. It proliferates in “Dandruff ‘ and ‘Seborrhoeic Dermatitis’ and in the following conditions prefixed ‘Pityriasis. Some symptoms may show similarities to certain systemic diseases including: Leukemia, Carcinoma (oesophagus or stomach), Malnutrition, Lupus Erythematosus, Tuberculosis, Hepatic and Pulmonary disease. Primarily a diagnosis is paramount because once this is established treatment can be applied. We have a simple but unique method of treating such a condition and even after your first treatment you will fee much better. Our treatment involves slowing down the cell activity. This is done by firstly removing the crusted skin revealing the affected legions therefore once free of dry skin we can then get to work on slowing down the cell proliferation. Light therapy may well be used at this stage. Please be mindful that removing the crusting is a specialist role. If you do not prepare the skin properly, there is every chance that you will make the condition worse because it is very easy to damage the skin using this method. The following list describes the types of Pityriasis. They affect a variety of locations on the body. Each condition has a link to another page which offers further information. This is not to assist self diagnosis. I would suggest if you are suffering from any symptoms as described then professional help should be gained.